Caroline Ménard is President and Partner of Brio, a management boutique dedicated to the reinvention of businesses and their leaders. For over 15 years, the firm has been guiding its clients through mergers & acquisitions, new technology implementations, and reorganizations, in order to successfully achieve major transformations in a constructive, concrete and confident manner. Ms. Ménard is a recent recipient of the Demers Beaulne Award for Large Business Entrepreneur, given by the Réseau des femmes d’affaires du Québec. Our greatest challenge has been – and will always remain – finding the talent we need to properly serve our clients. There’s no shortage of experts in the fields of consulting, strategy and transformation, but it’s quite rare to find experts who can adopt the client-relationship posture and approach that we look for. We’ve developed and implemented a boutique-style approach where proximity and personal engagement supersede the traditional model, which basically consisted of having experts simply dispense their knowledge without regard for the client’s business reality. For us, it’s a question of attitude, posture and close collaboration. Brio believes in ongoing change, which is essential in the context of globalization and technological evolution. And we practice what we preach, because the evolution of our own business is something we are continuously working on. This manifests itself in several ways, most notably through the energy we invest in succession planning, to make sure our company is never vulnerable to staff departures or a lack of long-term vision. Our clients tell us that working with Brio is easy and pleasant, and we get the same comment from all our employees and collaborators. As a result, we have no turnover – zero. We go all out to make sure our employees can balance work and family life. Our work environment is friendly, rather than hierarchical, and we organize lots of social activities outside the office. Relationships develop, and while everyone works hard, they all find pride, satisfaction and even self-actualization in what they do. Brio is an unfettered company where everyone is free to evolve in a work environment they can call their own. My journey is unique and atypical. I didn’t have time to ask myself if I’d like to manage my own company. Shortly after I arrived at Brio, our president, Sylvie Charbonneau, designated me as her successor when the time came for her to step aside, even if that was still several years down the road. She knew that a company’s succession planning has to be done well in advance. This proposition was perfectly aligned with my own ambition to one day head a company that I would enjoy moving forward, in keeping with my values. 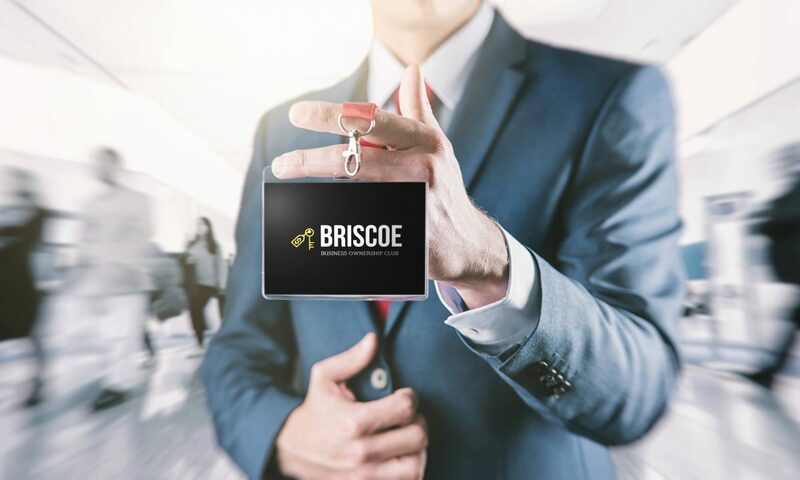 In addition, Brio was already a very attractive company, with a clear mission and a sincere engagement toward its clients, its employees, and society at large. Initially, Brio was mostly known for its change management guidance. Clients looking for strategic advice would usually go elsewhere. When we decided to broaden the scope of our activities to include strategic and transformation consulting, we had to reposition ourselves and, above all, make this new positioning known to our existing and potential clients. That also meant quickly establishing our credibility in these new areas. The reason we succeeded was, in large part, due to our proximity with our clients. But in the beginning, we took nothing for granted. When I first came to Brio, our competition was divided in two main categories: on one hand, there was a multitude of smaller firms and freelance consultants; on the other, a few very large firms. Today, we’re one of the “big players”, and the only truly independent one. That being said, comparing ourselves to others is not our cup of tea. Our approach is very different, so for us, it’s very simple: there’s Brio, and then there’s everyone else. Our team. No doubt about it. There’s a reason why we’re so demanding in our recruitment: we need talent, pure talent, from people who share our values and with whom our clients will enjoy working. This is essential for us, and for our reputation, in terms of the image that’s attributed to us. About 10 years ago, we all went through a very challenging period. There was an economic slowdown, and everyone suffered. At Brio, the thought of letting people go simply broke our hearts, especially since their competence was never in question. We didn’t want to part with any of our staff, and our instincts told us to keep everyone on board and deal with the financial risk – which made us more vulnerable. Looking back, I think we should have handled it differently. We should have talked it over with people and tried to come up with solutions together, like temporarily reducing everyone’s work hours, for example. I think it was a mistake to shoulder the entire responsibility on our own. That would be the recent establishment of The Transformation League, a partnership with foreign consulting firms that share our values and our boutique approach, and offer the same consultancy services in terms of strategy, transformation and leadership. We think it’s a great deal, because it gives us access to international markets, as well as a network of experts and best practices. It’s all coming together now. What’s coming for us in the next 10 years has already started. Technological innovation is constantly accelerating, forcing business and organizations to continually adapt and change. For example, digitization and big data are completely transforming business models in certain industries. Businesses will continue to require assistance in order to adapt to these changes and get mindsets to evolve. And by the way, let me say that consultants won’t be replaced by artificial intelligence, because the cultural, strategic and operational changes that companies and organizations must continually plan for and experience are not things that you can program with codes. Human beings are at the heart of our business, and that’s where they’ll stay. Oddly, it’s something that I already knew, but didn’t fully realize. We often tend to disregard our instincts, or those of the people around us, like colleagues or clients. We tend to set these instincts aside, as if what they told us was just too easy or too obvious to be right. Looking back, I now realize how important instincts can be, and I’ve learned not to brush them off too quickly – even when they crop up halfway through a mandate, when you’re still looking for answers. You have to give it time. Early on in my career, that made me nervous, but today, I know that instincts can be very useful. Christopher is the president, founder, and driving force behind Etelesolv, a company he started back in 2000 that is now called Cimpl. Cimpl is the culmination of a dream to bring holistic enterprise solutions to companies of all shapes and sizes. The way I started was a little unconventional, I was recruited straight out of school and put in charge of building an E-commerce site in 1999. I got really close to the owner of the company, this was during the boom of the internet. The owner backed me and allowed me to have a company inside his company. So, his company was our first client which gave us funding and security. It was basically an incubator. Being a tech company, its very tough to plan, and predict trends. The technology evolves quickly. So you need to look at macro level trends. To prepare for tomorrow I looked at the big macro trends, found trends that had more to do with technology and less with people. 10 years ago, I looked at what the trends were for telecom and mobility, it was huge and to this day it still is. Mobility cost was not a pain point 20 years ago, today, it’s a cost that needs to be monitored and optimized. The trend is less about the ownership of these assets but more about the recurring costs associated with the use of the services. When you start a business, you have a culture by default, it’s quite loose and informal with unwritten policies. As you start to grow you figure things out. What ended up happening for us is that we reached a tipping point at around 30 employees, we were burnt out. We had a heavy workload and the work culture started becoming toxic. So, I worked on changing the culture to the one we have today. We started by hiring the right people who fit the set of core values, because it’s much easier to hire the person who fits with the culture then train them to live the values. Employees are evaluated each year based on the core values of the company. We’ve won many awards that confirm that confirms that we have a great corporate culture. I graduated with an MIS degree with a minor in marketing, I got a job working for a traditional media company. I was tasked with working on a business plan to develop websites. After handing in the business plan I was told that we needed approval from Toronto and was told to wait. After a month and a half with no response I realized that I don’t want to do this again. After this job, I had offers to work at different consulting companies, but I didn’t want to do that, so I took a pay cut and ended up working with my current partner at the E-Commerce company. My advice is to focus on the opportunity and not the salary. The main hurdles are customers and funding. In 2000, we had the biggest dot com bubble burst so getting funding to grow your company was very difficult, so I had to go out and try and find customers. This was a difficult endeavor since with an IT background I had no sales experience. The initial idea was to provide an ecommerce platform, but since I couldn’t raise the money I became a web company for hire. We ended up competing against big companies. It was very tough, but there was such a huge demand we had spill over work. My big break was landing Motorola, we were pitching against a big company who was so busy that Motorola ended up going with their second choice which was us. Every client became a stepping stone to bigger clients. Presentation is important! I learned that back in school, communication skills are key. Being able to present well and sell your idea is what set me apart from other people. Selling skills are very important. I tried to grow too fast, I let my initial success get to my head. We were trying to accelerate a product launch by hiring extra people to get it off the ground and it didn’t work. We lost a lot of money, so we had to make hard choices by canceling the project and laying off people. It was very humbling. A year after dealing with our crisis, a year after we had to lay off people, we received an award for most innovative company. It was great to see such a good turnaround! We launched our new platform which has led to a tremendous industry acknowledgement of where we are as a company. We are a technology that manages technology, we want to be the Central Point to manage all of these technology and assets that people are using. As tech continues to change, we believe that our company and our platform has a huge future. I think the biggest thing is to have a very clear plan, a strategic plan about what you are trying to be, what are your goals, and your brand promises. Sylvain Boulé is President & Chief Executive Officer of Montrusco Bolton Investments Inc. A graduate of Université de Montréal, Concordia University and Columbia Business School, he is also Chairman of the Board of MBI/TEC Private Debt GP Inc. He has been involved for several years with Centre Philou and is currently Chairman of the Board of Fondation du Centre Philou. The core business of public equities and public debt is under pressure coming from the ETF, reduced allocation to the asset classes, declining add value which has resulted in lower fees. going down. We are working with the secondary business unit in order to complement the core business. MBI solution finds managers who are the best at what they do and MBI takes over the client relationship, the compliance and administration. Our challenge is to get strong people on marketing and client relationships. We have used headhunters to find the best talents. I have always worked for myself except for 5 years with Merrill Lynch. I bought out MBI in 2000. I paid way too much! I acquired MBI three months prior to tech crash. Clients began to shift after the acquisition, since most clients will reconsider the relationship with the company following a management change. The competitive landscape has changed, the competition used to be just in Canada, but it has become international. We have an advantage because we are a small company, we can react and move fast. Over the last couple of year, made in-roads in a new business, chose the right partnership structure.. We were able to increase the growth profile while reducing the risk profile. The biggest mistake would be compromising on my values, not selecting the right people and most importantly not following my instincts. There hasn’t been one “major” victory but rather a bunch of little victories like landing a new client, getting into new ventures, and choosing the right people. We are not a retail business, tech is still not a major threat in the institutional segment. I wish I would have trusted my instincts more when I started out. What are some challenges you have faced? The biggest challenges, for me, are the ones you don’t see coming. For example, in 2006, a competitor challenged our contracts in Quebec saying they were unenforceable. We started to lose customers that thought they could just walk away from their commitments. After significant time and legal costs we were able to prove our validity but it was a costly distraction we had no choice but to fight. We have invested in three key elements (i) our culture/people (ii) serving our customers well and (iii) technology. We rely on our culture of integrity, cooperation and challenge. Everyone is given stretch opportunities and needs to make decisions and we learn from mistakes and get better. I was an entrepreneur when I was 6 years old, making and selling things at local fairs. I took a professional path for financial security spending the first 17 years of my career in big companies before making the leap to business ownership. My first leap was in the .com era where I went in to run and have minority ownership of an online business supporting the online investing industry. The biggest issues at first were the lack of infrastructure. After 17 years in big business, my new business of 10 employees did not even have a photocopier!! It was cheaper to have a junior run to the local c-store and print copies for $0.10 each!!!!! On larger note the big challenge is in balancing doing the basics right every day but seeking opportunities and pouncing on them when they make sense. This ability to do many things on many levels at once is critical for business ownership success. In my first business we did not really have major competitors as it was a new space. We were providing simulated investing online that started as games on sites like Marketwatch and pivoted into customer acquisition business for big online brokers like Ameritrade, Schwab and eTrade. Our challenge was to communicate that we existed and convince them that they should care about us and our solutions when they had never had them before. Seizing opportunities and taking smart risks. For example: my first business ownership, I took random call from friend of friend to help them with their business. That snowballed into them wanting me to join them, but they could not afford me…so I took a “smart risk” as I had got to know them and trusted them and liked the space. I quit my high paid salary job to work for $1.00 per month with commitment that I would get bonus and pay if I raised capital. We raised a few million dollars in equity nine months later and I got paid……whew. At my first business we were growing fast and hired a firm to re-write our code to scale. We signed a time and materials contract for the original assessment. Then hired them on a fixed price of about $1M to do what they promised. As they were working it was well understood we were on fixed price. The new agreement was being drafted and circulated. Eventually they were way over budget (about 2x) and the software did not scale much better than the original …we were pushing them to finish it and they abruptly stopped and declared that we owed them an additional $1M (the amount they were over budget!!!) then they sued us for it. While the second fixed price contract had never been signed, everyone knew and worked on it every day. However, in front of an arbitrator we lost the case as the only signed contract said time and materials…..by then the NASDAQ had crashed in 2001 and our sales had dried up. We had no money to pay them (and did not think they had earned it anyway) we put the company through bankruptcy. We then bought the assets out of bankruptcy and restarted and sold the business a year later. Not a huge amount but we managed to recover about half of our investors money…and the guys that lied about the fixed priced contract to the arbitrator….they got nothing more. I think completing my management buyout on Sept 30, 2008 as the financial world was collapsing. Persistence pays off. It will change tremendously…but probably in ways we don’t quite understand and probably slower in most areas than we think. I think the advancements in machine learning/AI will transform many tasks and activities radically. Then we will have to solve for the problem of what do we do with all the humans that used to do those jobs…. Many things indeed. Probably #1 is that it is critical to develop good judgment about who to trust and not trust. There are many people that you need and are willing to help you as a business owner but there are many trying to slow you down or hurt you also. Learning to tell the difference and acting on it is critical to me.